Wing Chun Kung Fu is the name of a system of martial arts developed in southern China approximately 300 years ago. Its originator, the Buddhist nun Ng Mui, was a master of Shaolin Kung Fu. She applied her knowledge to invent an art that takes advantage of the the weaknesses inherent in some other martial art systems. 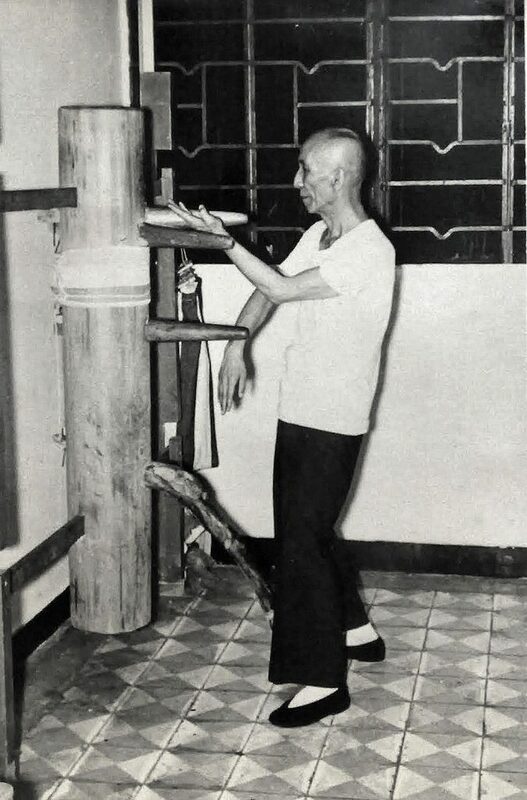 The Wing Chun Kung Fu of today is attributed primarily to the legendary founder of Wing Chun, Ip Man . His art was carried on by his sons, Yip Ching, Yip Chun and their students like Grandmaster Steve Lee Swift. 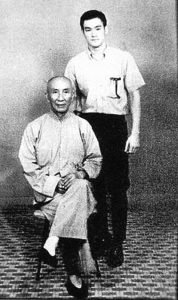 Wing Chun Kung Fu has also appeared in many TV programs and movies. The Lighting Speed of Wing Chun Kung Fu! films inspired by his life and story. Grandmaster Swift learned Wing Chun Kung Fu in Hong Kong, directly from the sons of legendary Ip Man, Yip Ching and Yip Chunin. Grandmaster Swift continues to teach the traditional style of the Ip Man lineage of Wing Chun in his “kwoons” (kung fu gyms) in both Florida and Minnesota. See Grandmaster Swift in action! Grandmaster Swift is a full-time Wing Chun Kung Fu instructor. Grandmaster Swift is not a part-time instructor of the art. Teaching and living the art of Wing Chun has always been his only profession. He was inducted by his peers into the International Grandmasters Hall of Fame under the World Head of Family Soke Councilship.Grandmaster Swift has been honored in 278 news and magazine articles on the Art of Wing Chun, including articles in the respected martial arts publications Inside Kung Fu and Black Belt Magazines. Several publications published articles about Grandmaster Steve Lee Swift when he saved the lives and health of multiple men and women who were the victims of assault. Thanks to Grandmaster Swift’s intervention, these individuals can still tell the story of their encounter today. 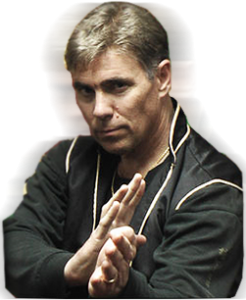 Grandmaster Swift provides extensive instruction in realistic combat training using the direct and effective techniques of Wing Chun Kung Fu. The effectiveness of Wing Chun in realistic combat is natural and that of pure art. Similar to the skills used in the world of chess, strategy and practice allows the techniques of Wing Chun flow naturally, like a river , without conscious thought. When the art is needed, the events of the moment pass in almost slow motion, letting the body perform what the mind has been taught. Grandmaster Swift applies his 42 years of experience in Wing Chun Kung Fu to teaching his students the true art of Wing Chun of the Ip Man lineage. He has spent his life perfecting the art of Wing Chun. Today Grandmaster Swift shares his skill and expertise with his students. His students range from martial arts beginners to advanced students, instructors, athletes and masters of all styles of kung fu. There are six forms in Wing Chun. The first three are empty hand forms, the fourth is performed on a wooden dummy, and the last two are weapons forms. Chi Sao or “sticking hands” is the term for the principle and drills used for the development of automatic reflexes upon contact and the idea of “sticking” to the opponent. Tenets of Wing Chun include practicality, efficiency and economy of movement. Wing Chun techniques emphasize these tenets to maintain its ideals on effectiveness. Grandmasters Wing Chun reflects on the past and looks toward the future. This future is not just the Future of Self, but the Future of the whole person; mind, body, and spirit. We in the Martial Arts understand that we are nothing in comparison to what we have the potential to be through dedication, honor, and brotherhood within our Art. We seek to hold this philosophy of our Martial Art in our hearts, minds, and lives and even in the lives of others. Through the art one may better oneself which affect not only their own life; but more over ~ the lives of others. We seek to be true to oneself, which requires perseverance and dedication. This is true not just in the development of technique, but in the development of self through the martial arts. This path is your Bridge, you decide the structure, you decide the materials you will use along the way, and in the end you will see what the Martial Arts has Built in you, but only through Hard work, Time, and Effort ~ only then will the true soul of Wing Chun Present itself to you. You can join any gym, you can buy your fitness, your martial arts, and of course even the techniques that go along with it, Anyone can sell you techniques, Grandmasters Wing Chun wants you to aim higher than martial art exercises; Wing Chun was Developed and passed down through family generations to reach a higher state. A true martial artist is a person of integrity, humble nature, and virtue. They seek to aspire to something better; for the dedicated martial artist soon learns that mastering himself is in fact much tougher and much more rewarding than mastering others. This is the challenge for most disciples of any endeavor, for self-respect and the respect of others leads to the responsibility in all of our actions. Our Ego’s melt away and a sense of self-righteous falls away allowing the mind to learn free from obstruction and disillusion. Though Wing Chun Kung Fu is renowned for its combative ability, being known as one of the fastest and most reactive martial arts known, we at Grandmasters Wing Chun are just as Dedicated to helping you achieve a higher sense of self as we are in placing dedicated practitioners of the art in Real Life Situations. Allowing the mind to slip away and the body to react to every movement and every intention. Attacking and defending at the same time with lightening speed, agility, and skill. Bringing devastation only in life threatening situations. That is why we at the Wing Chun Association, under Grandmaster Steve Lee Swift, we only teach to those capable of understanding the intentions they place behind every move. The artist needs an understanding of the power of Wing Chun and it’s important they have compassion in all situations, even for their opponents. Learning Wing Chun Kung Fu is not an overnight process just like changing one’s life and a way of thought or path is not as easy as this. Just like building a bridge; but in the end you have something no one can take away from you, because throughout your life, you may or may not have money, you may or may not have many things, but you will always have Wing Chun and you will always have a Brotherhood to call your own. In the End what is the Difference between this year and last; Our Job? Money? What really changes us? We all gain and lose these things of material gain and in the end none of us can take it with us. But Education, Knowledge, your State of Mind, YOUR Abilities, YOUR SKILLS, YOUR SELF EXPRESSION through Body and Mind can Never Be Silenced, Everything you build from this year to the next is and always will be yours. For more information on the concepts of Wing Chun, please click here.